Writing about sound is not an easy task. I've heard it compared to explaining visual art to the blind. However, after years of working with voiceover talent, being asked the same questions and dealing with the same issues, I was inspired to give it a try. 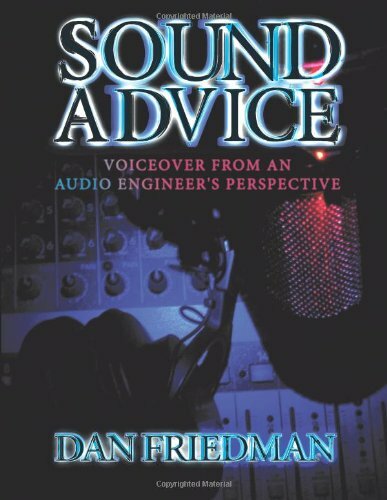 I've written this book to give you a sound engineer's perspective on your career as a voiceover talent. In this book I've tried to provide you with basic information about audio and equipment that is taught in recording schools. Hopefully, this information will provide a foundation for you to get to know your equipment better and understand how it works. Understanding your audio equipment is critical to helping you sound your best as well as helping you effectively communicate with those trying to help you when problems occur. I've also tried to address proper studio etiquette and many of the bad practices I've seen, heard and experienced from voiceover talents over the years. My intention is not to scold or criticize, but simply to provide those of you who are new to the business with information you may not know, and also to shed light on some mistakes that many of you, who have been in the business for awhile, may not know you are making. This book is not about how to read scripts or how to be a successful voiceover artist. This book compliments the many books that have been written about those topics. You may find it helpful to sit in front of your equipment as you read through some of the sections. Follow the procedures I describe and learn what the microphone, knobs, faders and other various elements in your studio can do. Most importantly, open your ears and really listen. Listen to how you sound and learn what you can do to bring out the best in your voice. I am passionate about what I do and I know most of you are too. This is a great business. Thank you for reading my book, I hope you find it helpful and enjoyable.